Petrine Day Mitchum will be giving a presentation on Westerns in the silent film era at the Charles M. Russell Museum in Great Falls, Montana on July 22, 2017. 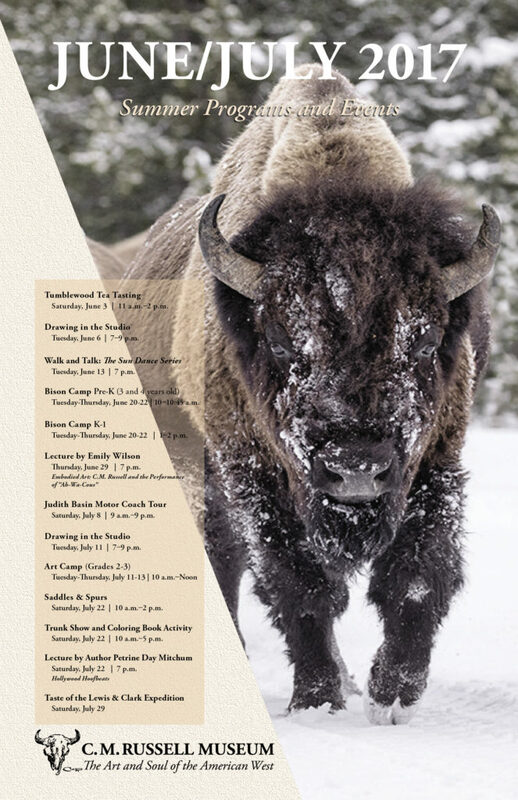 If you are in the area, stop by and visit this wonderful museum! THANKS TO THE MUSEO NAZIONALE DEL CINEMA! 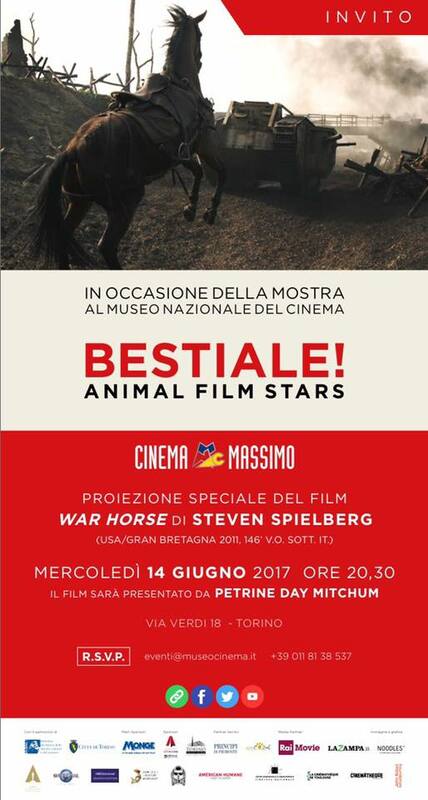 Petrine Day Mitchum introduced “War Horse” at the Museo Nazionale Del Cinema in Torino, Italy on June 14. It was an honor to be part of this wonderful exhibition!!! Petrine Day Mitchum’s conversation with Warren Eckstein, host of The Pet Insider. 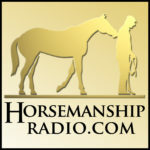 To hear an interview with Petrine Day Mitchum on Horsemanship Radio, click the link below. The interview begins at approximately 11 minutes 30 seconds in. Featuring author Petrine Day Mitchum and host Rick Lamb with interviews and films clips from the Hollywood Hoofbeats documentary-in-progress. A fascinating read, Hollywood Hoofbeats features an amazing amount of information on the earliest celebrity horses who costarred with America’s great cinematic cowboys Gene Autry, Roy Rogers and Tom Mix, as well as behind-the-scenes accounts of the horses starring in today’s blockbusters War Horse and Django Unchained. This book is perfect for both horse lovers and movie buffs who want to know the intriguing stories surrounding the unsung equine heroes – and the incredible trainers and stunt riders who’ve worked with them. Hollywood Hoofbeats shines a spotlight on these majestic, funny, heartwarming and sometimes overlooked characters who have played such a central role in the development of the movies and our imaginations. Western fans and horse aficionados should doff their hats to Petrine Day Mitchum for telling the colorful, behind-the-scenes stories of the movies’ unsung heroes. Hollywood Hoofbeats is packed with information but it’s also great fun to read.